It's the first thing you pour yourself in the morning, but did you know coffee can also be used in cooking? We're not talking coffee cake or red-eye gravy, however; we're talking meat. Because it has natural acids, coffee is a natural meat tenderizer and a regular feature on the barbecue circuit, helping create the sought-after "crust" on the surface of the meat as it cooks. Try a coffee marinade — remember to let the coffee cool before adding meat — and experiment with added elements: sweet, heat, tang, herb. Looking for a tried-and-true guidebook to marrying meat and coffee? Based out of Spokane, Spiceologist has done the experimenting for you with Cowboy Crust Espresso Chile Steak Rub. The non-GMO, gluten-free and MSG-free rub is a blend of heat — chili powder, cumin, cayenne — and sweet, with the added surprise of local roaster Thomas Hammer's Fireball Espresso coffee adding notes of caramel and nutmeg. Director of Food Services Tony Reed recommends the blend for red meat, venison, breakfast burgers, even chili, for which he provides a recipe on the company's website. "This is great for a crisp cool winter day," he says. 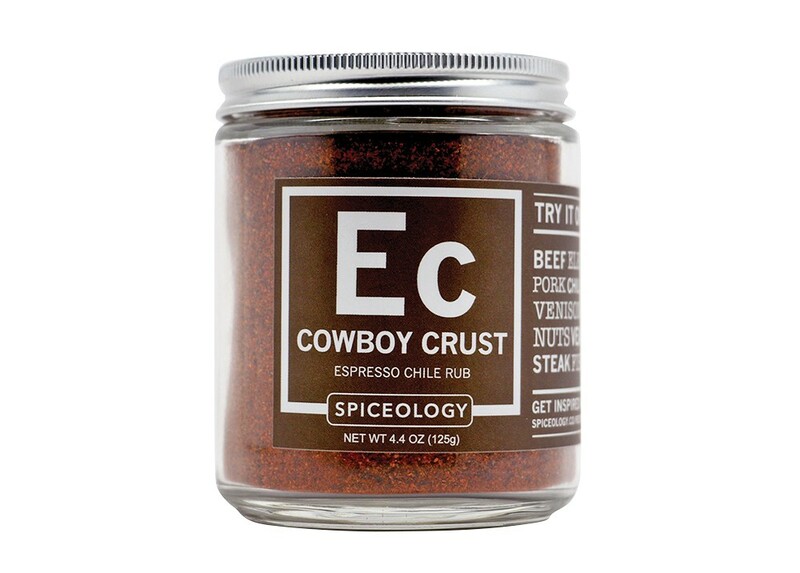 Cowboy Crust is one of nearly 150 individual spices, spice blends and salts developed by Spiceologist, which local chef and founder Pete Taylor launched in 2012 as SavorX Spice & Flavor Company. He was joined by business partner Heather Scholten a few years later, expanded the company, and by the end of 2018 will rebrand it as Spiceology.